﻿ Westgate Lakes Resort and Spa, Orlando (FL) | FROM $104 - SAVE ON AGODA! "Beautiful place, spotless and the staff were wonderful!" Have a question for Westgate Lakes Resort and Spa? "Our mattress was Brand new & very comfortable, we had a wonderful view as well." "It was our second time there, very clean, very friendly." "So from Boston to Orlando the Rivera family wants to thank t..."
Nestled a bit shy of central Orlando and offering a full-fledged stay within the confines of lakeside serenity sits the Westgate Lakes Resort and Spa. The property is comprised of top-notch villas which are sleekly decorated and offer a full range of modern amenities. Equally impressive are the Westgate's facilities, which include a golf course, meeting center, several pools, a marina, various dining options, tennis, volleyball and basketball courts, and a free Wireless Internet station. 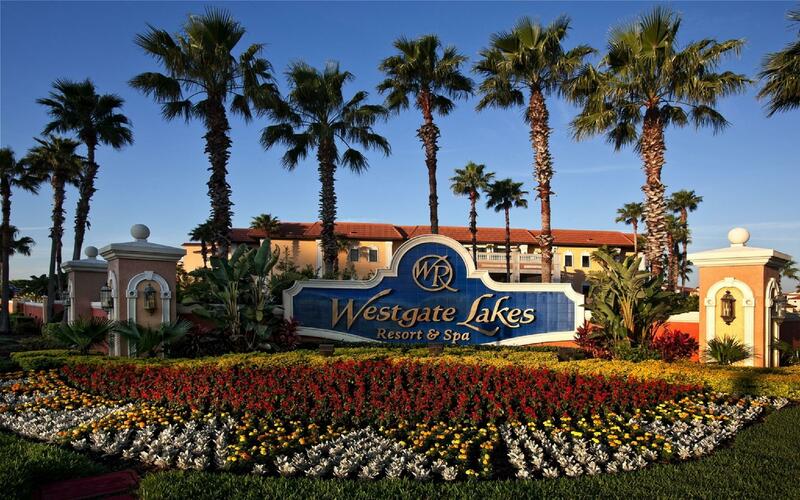 Despite its secluded locale, the Westgate's offers remains one of its top draws as it borders on some of Orlando's most popular tourist destinations, including Sea World, Disney World, and Universal Studios Orlando. At the intersection of the Westgate's peaceful locale and innumerable services is where you will find a stay that is nearly impossible to duplicate, even in hotel-hungry Orlando. I booked the room for me and my Husband Birthday and Anniversary vacation. My husband has a friend that spoke highly of this place which was ok. When we came to the Resort we didn't know that they had a time share seminar going on so they told us we had to go to the different registration desk to sign up for things. I didn't pay it no attention. We signed up not think about the seminar they were going. Long story short, they were very rude because you're not in the mood for the time share Mama Jama that they have going on. Very, very rude, I was so mad 😡 I just wanted to go. Such a nice place!! Gave us an upgrade to a 2 bedroom suite when our studio was all booked up. Loved the place. Very clean and well provided for as far as plates, utensils, etc. Would definitely stay again and encourage others as well! Very slow check-in speed. They will try to sale at the "welcome package". We ask for different pillow but they don't have alternative. Bed is not comfortable. The air conditioner doesn't work for heat mode. We select heat mode but only cool air come out. The thermostat think hot air is coming out, but only cool air are coming out, so it freezes us overnight. The only push sign is security at check point all the time to prevent unauthorized access. my fav hotel in orlando , near to walmart and Universal studio. 20 min drive to disney world . We booked this hotel because it was very close to Universal Studios and a very reasonable price. We also saw that it was pet friendly and had our dog with us. Very quiet and comfortable stay! and only enjoyed my stay in Florida because of the resort and it's amenities. Not having to go too far for basic necessities because there is a mini mart on site was awesome, and great food at the restaurant as well. Thank you everyone. Everything was great except the staff at the reception desks, they treated me with respect but didn’t care much about my needs...I felt like I was a number to them and they were like robots. The staff was really nice and they were in a great location, however they have absolutely no parking available and it takes a while to get a shuttle to anf from your room. I thinknthat needs to be improved. Also, I personally wont be staying there just because of the rudeness we experienced from the timeshare salesman. They were so pushy and got rude when you turned them done.....that alone will have me look elsewhere for a hotel for next year. Good price, friendly staff, accommodating, nice pools, nice shops on premises. Beautiful view of the lake from the window. It's the little things, like free Wi-Fi and toiletries, that were missing to make this a better experience. I like the condo like feel and that house keeping is not in every day. Having a seperate bedroom is a real plus! Only disappointment is the WiFi is not free. Rooms are big and clean. Staff are friendly and amenities are great. Free disney tramsportation as well. Great place but thet will try to get you to do a 2hour timeshare presentation while youre there. Google for prices. You can get it cheap and its very worth it. There was an issue with the payment, as money was already dedectued from my account through Agoda, and I was also required to pay the same amount at the hotel. The issue was resolved and I was refunded, but it took some effort and patience to get it done. Otherwise no issues, good facilities and location. This is a very nice resort and I definitely recommend. However, be aware their wi-fi connection is very poor and the cleaning should be improved during the stay. We got the apartment very cleaned, however the daily cleaning should be better (specially the bath).